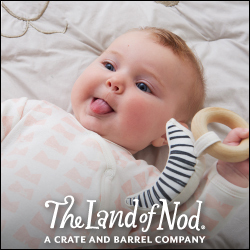 Thank you to DockATot and The Ollie World for collaborating on this post. As always, all thoughts and opinions are my own. Just like that we're exactly two months from baby number two's due date, and I'm having all of the feels! I was hoping to get our maternity photos up for you guys soon but I want to give our photographer time to get rid of my double chin and/or sweat in most photos so stay tuned! Between my sudden urge to organize every closet + build custom shelves for the baby's closet (apparently I have a thing against our closets this pregnancy? ), a baby who is measuring 2+ weeks ahead, and finalizing all of the little things we need for this go 'round, it's safe to say I'm feeling a little sense of urgency! One of the questions I get asked often is whether we are ready. My response is generally, is anyone ever ready? We have a ton of things from when Rowan was a baby so there's definitely a lower level of stress when it comes to preparing, but I've been slowly compiling this list of must haves for baby #2 after thinking back to those early trial and error days of parenting. DockATot. DockATot Toy Arch + Toys. Ollie Swaddle. LILLEbaby 6 Position Carrier. 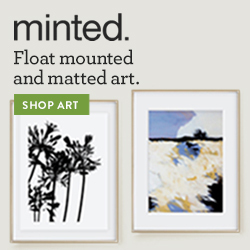 Fawn Design Mini. Bamboobies Washable Nursing Pads. Aden and Anais Washcloths. Dohm Sound Machine. HALO Bassinet. Mushybooks Baby Book. DockATot (Get $10 your purchase with this referral link) - Every new mom I know has raved about their DockATot so I'm really excited to try it! We don't co-sleep unless we're traveling so most of the time we'll use this for lounging around the house, naps, and playtime with that sweet Toy Arch and Toys. The fabric is breathable and all natural but I'm mostly looking forward to having something we can move around the house easily since big brother keeps us a bit busy! Ollie Swaddle (Get 10% off with this referral link) - Another highly recommended item from my new mama friends! This has been consistently recommended to me for its ease of use especially with middle of the night diaper changes, one-size for easy transitions, and soft material. LILLEbaby 6 Position Carrier - I have a wrap carrier from when Rowan was a newborn but really missed out on being able to wear him more because I couldn't wear him facing out, which is all he wanted to do after 4 months! I'm so excited to try this carrier - it doesn't require an infant insert, provides a ton of support for mama's back, and comes in mesh versions to help in hot areas like the South! Fawn Design Mini - My original baby bag was huge and heavy, so now that I realize I don't need to pack my entire house in it, I'm excited to have a smaller backpack baby bag to help ease the stress on my back! Bamboobies Washable Nursing Pads - Super random, I know, but I went through SO many disposable nursing pads with Rowan and I refuse to deal with how uncomfortable they are again! Looking forward to trying these out! Aden and Anais Washcloths - We use these washcloths every night with Rowan so they've seen better days, I think both kids need some new ones! I love the material and size for both baby and toddler. Dohm Sound Machine - A must!! Rowan still uses his so it was a no brainer to get another for baby #2! HALO Bassinet - This is definitely a splurge for us, but I'm really hoping we can make it happen! We will likely keep baby #2 in our bedroom until he drops his middle of the night feedings (Rowan did this around 3 months if I remember right). I'm looking forward to having this at my height by the bed to make those nursing sessions a little easier and save my back! Mushybooks Baby Book - I have shared Rowan's Mushybook a few times and I just love the simplicity and beauty of it so I knew I'd be getting another for baby brother! This time I'm hoping to stay on top of it a bit better so we'll see once we're managing two! I do want to stock up on random things like Dr. Brown's steam sterilizer bags (such a genius invention), pump parts, and nursing bras. 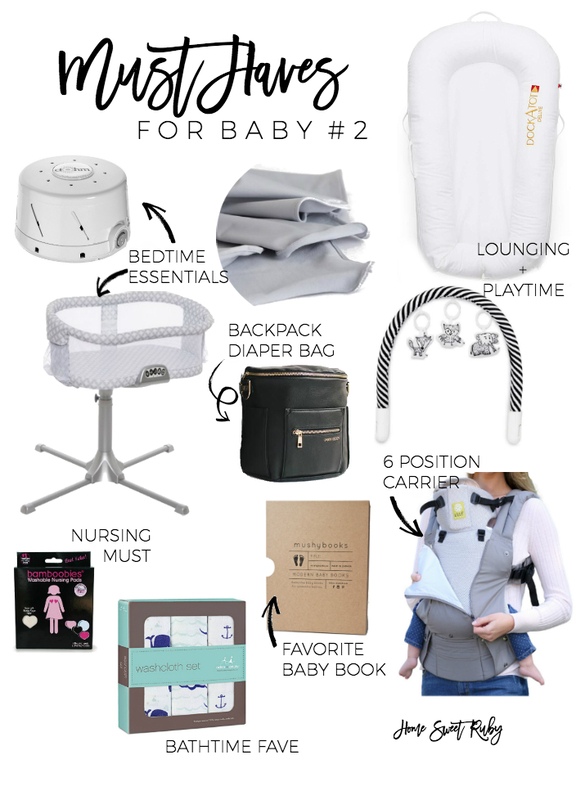 We already have a convertible stroller, Mamaroo, Rock 'n Play, and more burp cloths than I can count, so I feel like we've got the basics covered! I have done a lot more shopping with small businesses this pregnancy, so I'll be sharing some of my favorite shops next week! Mamas, what were some of the things you added after your first babe?! I seriously can't believe it's almost go time for you! Weren't we just texting talking about planning for #2 and now it's here! AHHH! 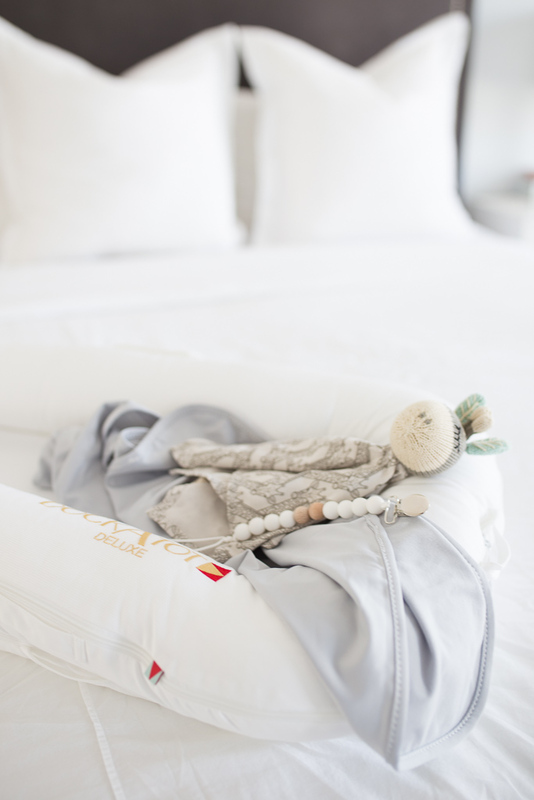 We love love LOVED our Halo Bassinet! So convenient. And omg, two months! !